A strong earthquake struck south of New Zealand this afternoon. 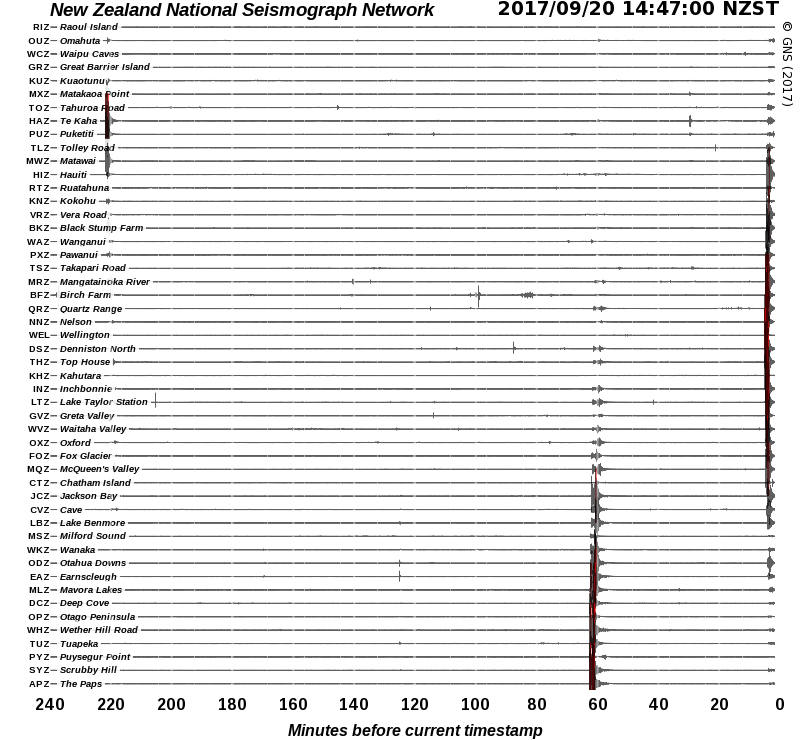 A strong earthquake struck south of New Zealand at 1:44 this afternoon. The U.S. Geological Survey reports the earthquake as magnitude 6.1, centred 256 km west of Auckland Island at a depth of 10km. The epicentre is 615 km south-west of Invercargill. 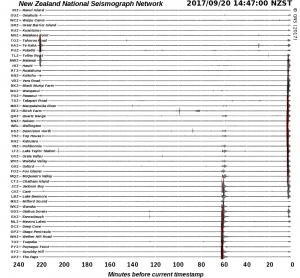 [click for larger image] The earthquake left a clear trace on New Zealandâ€™s seismograph network, just before the trace left by the magnitude 5.1 quake centred near Seddon at 2:42 p.m. This entry was posted on Wednesday, September 20th, 2017 at 3:01 pm and is filed under Earthquakes - Observations. You can follow any responses to this entry through the RSS 2.0 feed. You can skip to the end and leave a response. Pinging is currently not allowed.